Jacky Myint is an interactive designer and illustrator living in New York City. Her work can be found online at www.sixstarstudio.com. Young children are often defiant and oppositional. That behavior frequently prompts a parent to issue a punishment; and the punishment, especially when delivered in anger, can prompt the child to become vengeful and misbehave yet again. Thus develops the “negative cycle,” whereby the child’s misbehavior prompts the parent to punish, and the parent’s punishment prompts the child to misbehave. Time-outs and losses of privileges have their place in the proper discipline of a child. But often a positive, proactive behavioral strategy can defuse the negative cycle, and improve the parent-child relationship. 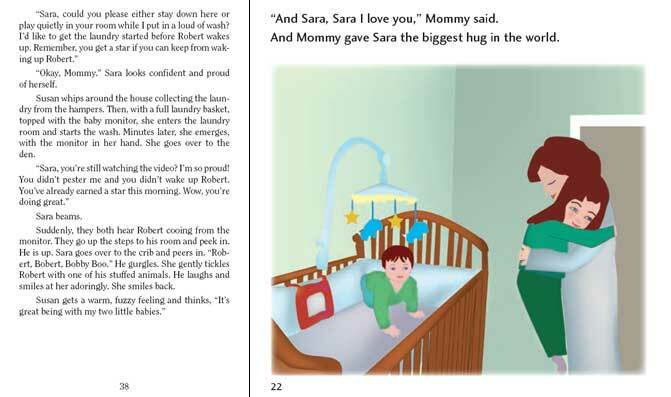 Sara Makes Her Mother Proud and Learns Good Behavior is the title of two books, a children’s picture book and a parent’s guide. Both books tell the story of Sara, a little girl whose annoying early morning behavior prompts her mother to give her a time out. Sara’s parents devise a behavioral strategy involving the incentive of rewards, and Sara learns to behave properly, thereby making her mother proud. The children’s book is a full-color picture book that tells the story in a way that will inspire a child to conform to parental rules in order to earn their pride. The parent’s guide not only tells the story of the little girl whose behavior improves following a behavioral intervention, it also provides theoretical and practical information for parents regarding the general use of positive proactive parenting principles. 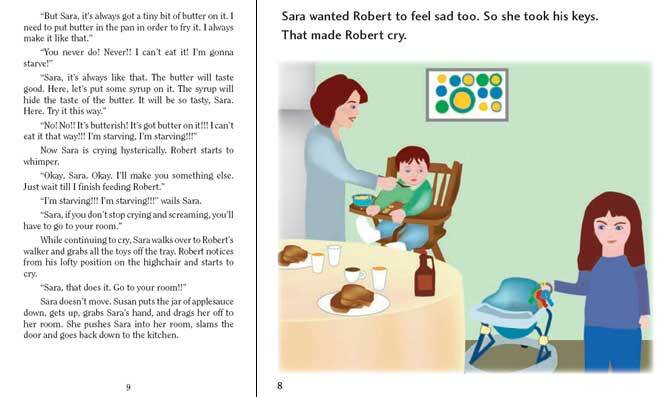 The Two Book Set includes a fictional story in tandem: Each book in the Two Book Set includes the same fictional story about Sara, the little girl who learns to cooperate with her parents by way of a positive proactive disciplinary strategy. Read a few pages from the Children's Book! Read the Table of Contents & a few pages from the Parent's Guide! The Parent's Guide and the Children's Book contain the same fictional story. Award-Winning Finalist in the Parenting/Family category of the National Indie Excellence 2007 Book Awards. Distinguished iParenting Media Award Winner. — Virginia M. Shiller, Ph.D., Rewards for Kids! Ready-to-Use Charts & Activities for Positive Parenting. "Sherry Henig uses a unique and clever approach in Sara Makes Her Mother Proud and Learns Good Behavior. Dr. Henig capitalizes on the fact that young children can learn helpful lessons from reading storybooks. And so can parents! The nicely illustrated story shows how a positive, proactive approach can make real improvements in a child's behavior. The storybook is accompanied by a Parent's Guide that offers specific, practical suggestions that help parents interpret the story to their child and provides a concise guide for positive discipline. A must read for any parent with a willful youngster. 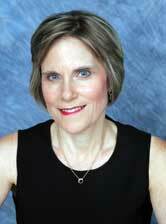 — Sal Severe, Ph.D. author of How to Behave So Your Preschooler Will, Too!